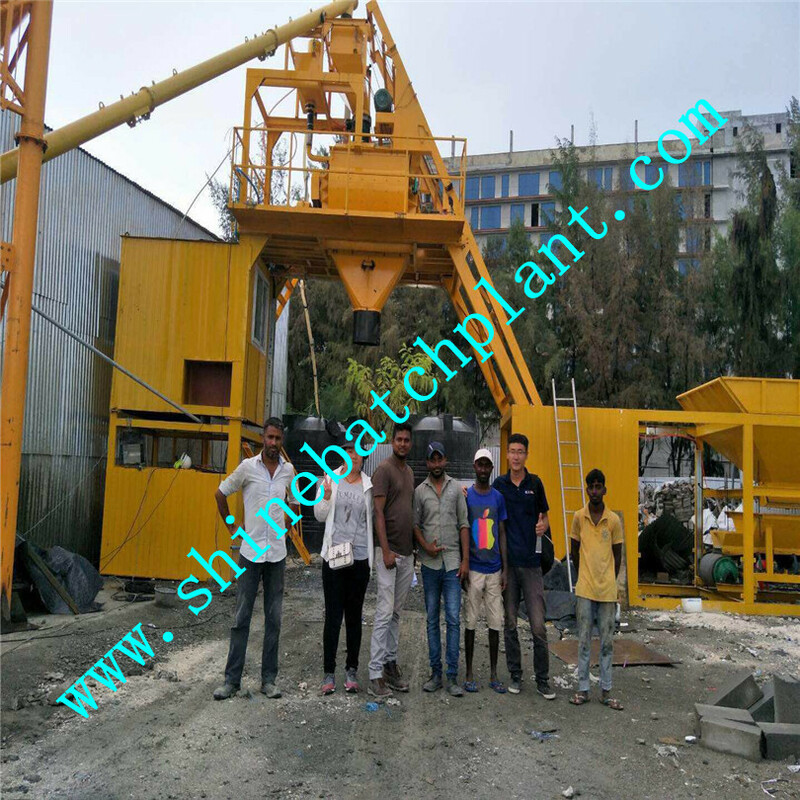 25 No Foundation Concrete Batching Plant is a new type of Concrete Batching Plant that can work efficiently as the fixed concrete Batching Plant and Mobile Concrete Batching Plant for the construction sited and the contractors. Do you need a high capacity concrete batch plant or require a ready mix plant that will produce higher quality concrete repeatedly to meet precise mix designs? 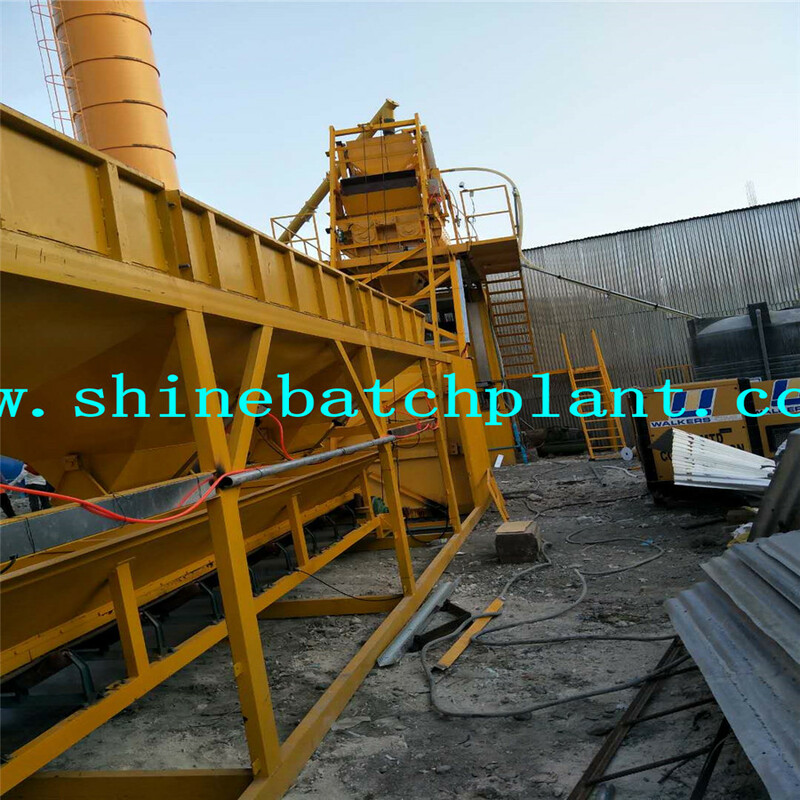 Shine machinery designs and manufactures customized concrete batching plants, also called wet concrete batch plants, that meet any capacity and requirement, whether you're planning to retrofit existing facilities or start from the ground up. 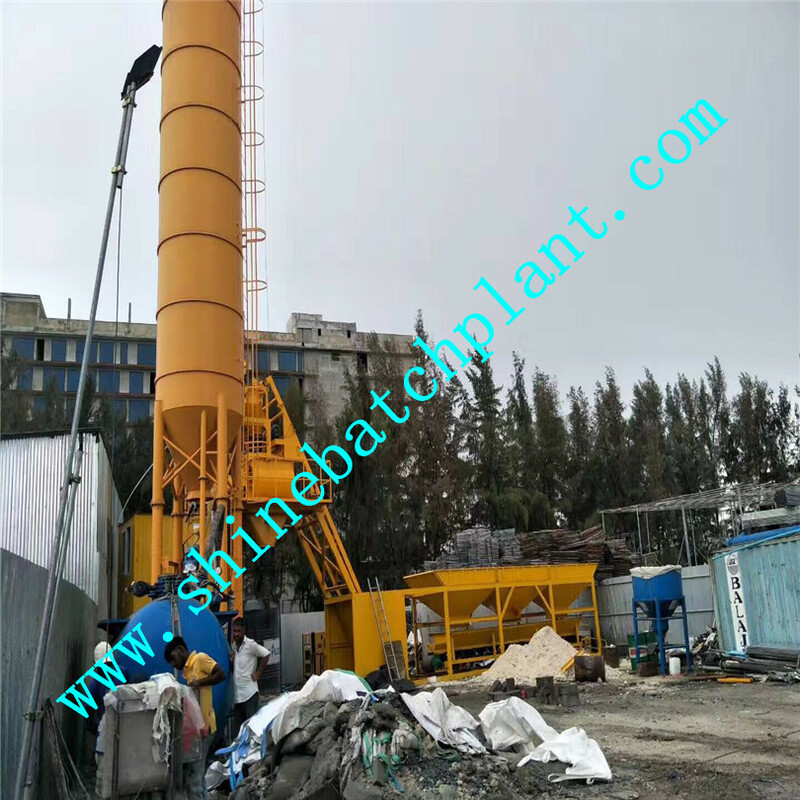 Shine machinery designs and produces high technology concrete batch plants(mobile and stationery, wet and dry), our ready concrete mix plants are intended for both domestic and international concrete producers and contractors. 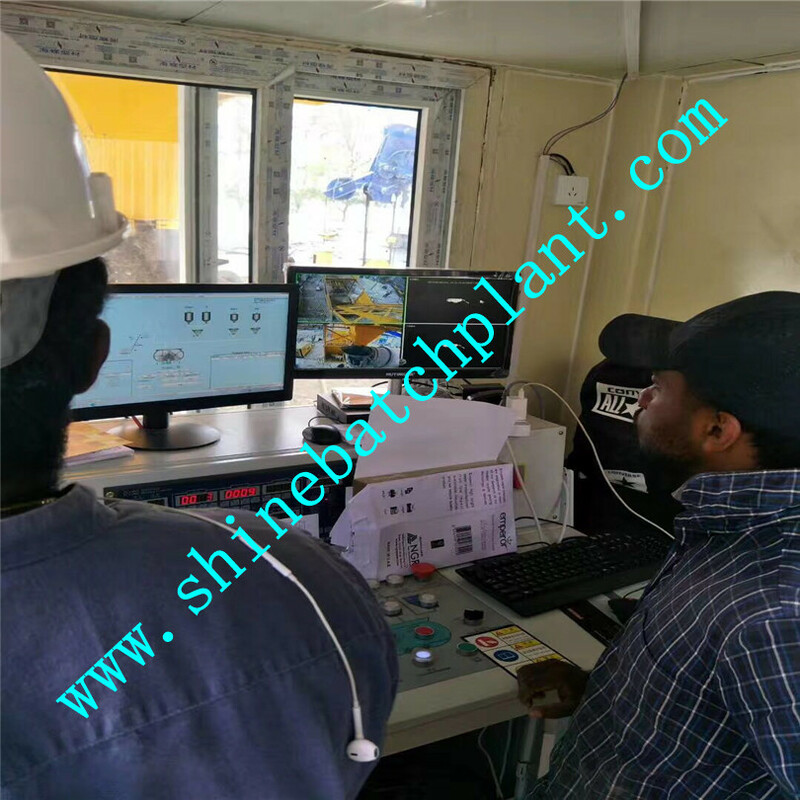 From the design and specifications stages to the manufacturing, installation and commissioning of the ready mix plant, the Shine machinery experts will guide you through the process until your Concrete Plant is up and running. Low cost of equipment, our company has greatly reduced the production loss of raw and auxiliary materials and improved the working efficiency through the standardization and modularization production of the accessories of the oppositional dryer. The company has the large machine processing, the complete machine manufacturing comprehensive ability. With more than 100 sets of testing and testing equipment, it has perfect, advanced measurement, physical and chemical, nondestructive testing and product testing and testing methods.Has the independent development, the design, the trial production complete set mechanical equipment ability. Note: once cooperation we will send experienced technicians to the scene to guide the equipment use method and matters needing attention, and explain in detail the equipment form a complete set of mature drying process, to ensure that customers can bake out high quality products!Welcome your call letter consultation! In recent years, the company has developed and produced a lot of high technology content and high value-added products for users. Shandong Shine Machinery Co., Ltd is located in Jinan, Shandong province. 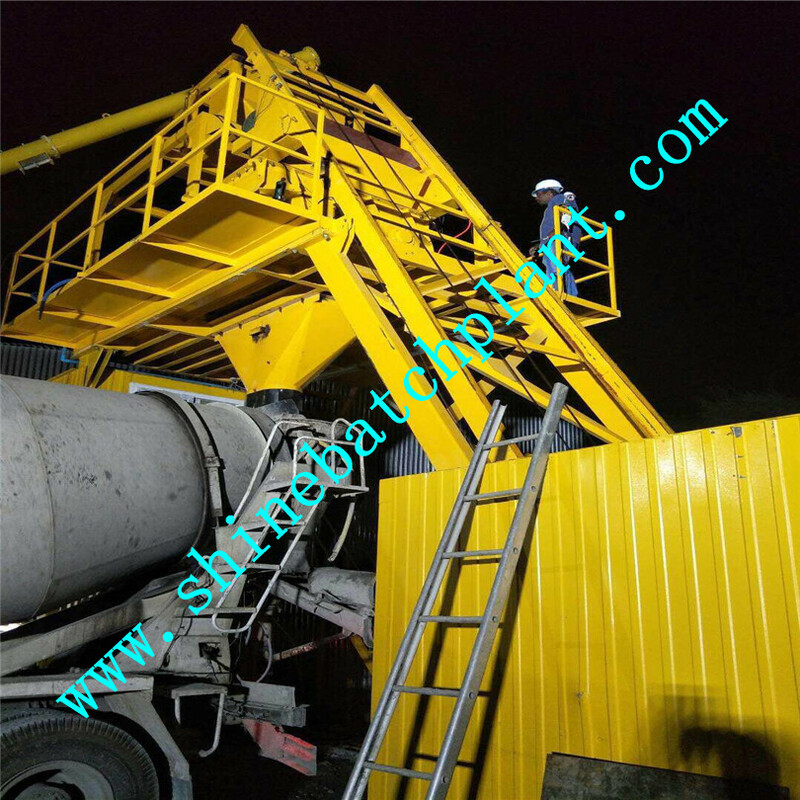 With many years of exploration and practice, it has accumulated rich experience and formed a professional team that engages in researching, designing and manufacturing products for concrete batching plant and Mobile Concrete Batch Plant . 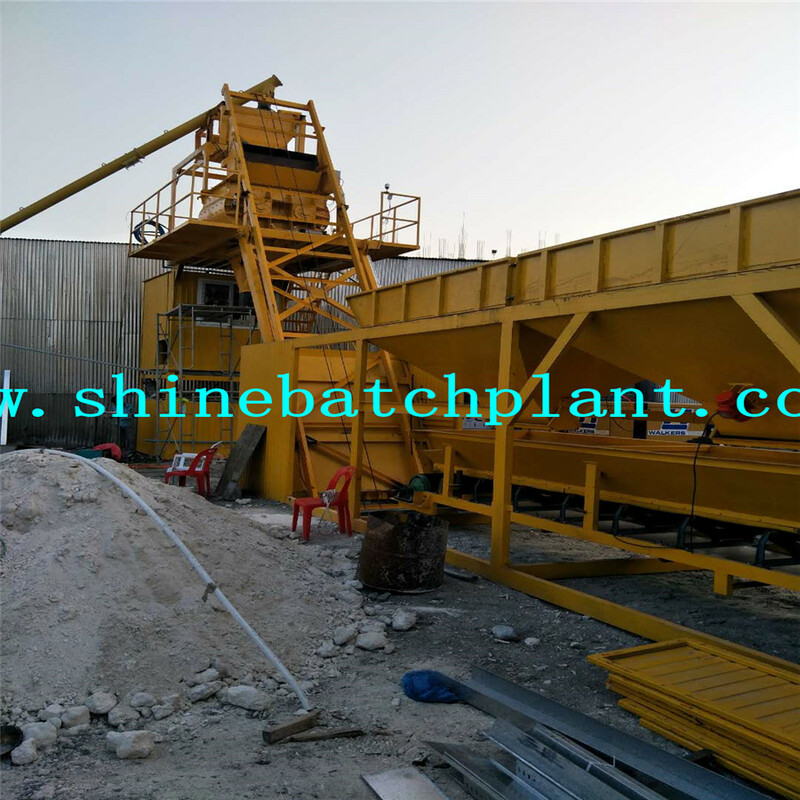 Besides producing and offering concrete batching plant and Mobile Concrete batching plant, it also can supply Concrete Batch Plant Control System , various mixers, mobile Concrete Batching Plant Accessories, such as cement silos, screw conveyors ,horizontal cement feeder and etc. Our company always insists on high quality, advanced technology and efficient service and actively explores domestic and oversea markets. Our products have been exported to more than 30 countries and regions, such as Russia, Belarus, Ukraine, Kazakhstan, Uzbekistan, Tajikistan, Turkmenistan, Mongolia, North Korea, Philippines, Vietnam, Cambodia, Indonesia, Malaysia, Myanmar, Thailand, Bangladesh, India, Pakistan, Iran, Iraq, Jordan, Saudi Arabia, Israel, Egypt, Libya, Algeria, Gabon, Zambia, Tanzania, South Africa, Australia, Papua New Guinea, United States, Mexico, Colombia, Peru, Chile, Argentina, Brazil and so on. With high quality products, adequate supply of spare parts, fast and efficient after-sales service, our company is widely well evaluated by the customer all over the world. Based on integrity and honesty, Shandong Shine Machinery wins trust with professionalism, and develops through innovation. The company takes "customer serving, staff accomplishment and society contribution" as the fundamental target, and regards "assisting customers reducing costs and gaining maximum profit in the field of mobile concrete batching plant" as mission. Guided by "people oriented" value system, Shandong Shine Machinery never cease to elevate its competitiveness, and to gain maximum benefit for ours customers. Looking for ideal Wet No Founfation Concrete Batching Station Manufacturer & supplier ? We have a wide selection at great prices to help you get creative. 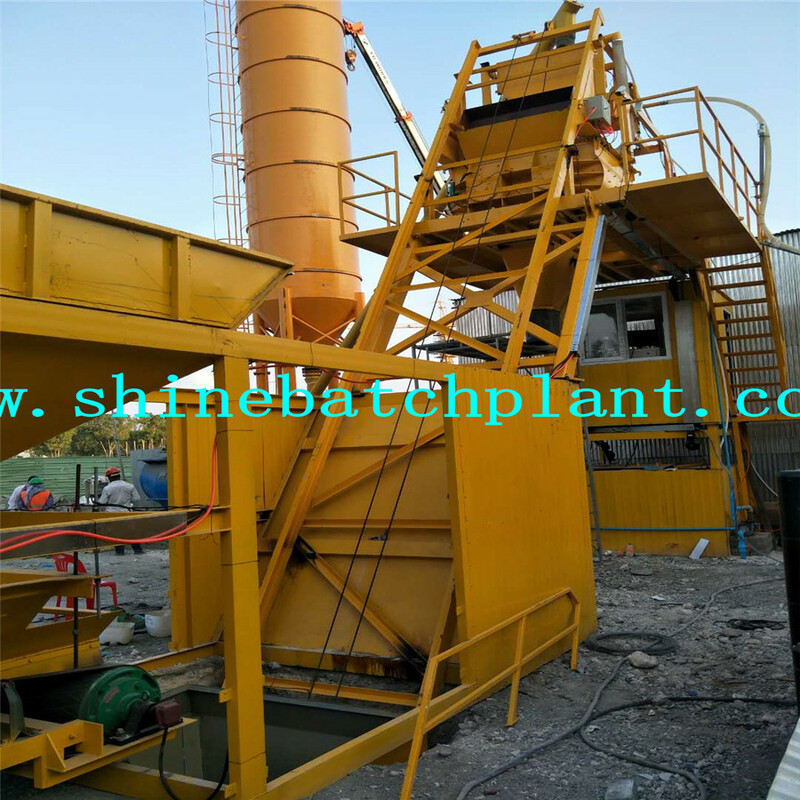 All the Dry Concrete Batching Plant are quality guaranteed. We are China Origin Factory of Wet Mobile Concrete Batching Machinery. If you have any question, please feel free to contact us.